Less than 24 hours after former President Olusegun Obasanjo accused President Muhammadu Buharia of behaving like late General Sani Abacha, he has fired yet another shot at the incumbent. Is this a war of words brewing between a former President, Dr. Olusegun Obasanjo, and President Muhammadu Buhari? Dr. Obasanjo has chided President Muhammadu Buhari, saying he (Buhari) is sick in the body, mind and soul. Speaking to the BBC Yoruba on Monday, Obasanjo opined: “Buhari has health issues in his body, mind and soul. "We should implore him to quit politics. He should go and rest. He has done his best. “We should give someone else a chance. Some people usually ask me, if the person I support fails them...."
"Criticism, choice and being different are inherent trade mark of democracy. "If democracy is derailed or aborted, anarchy and authoritarianism will automatically follow,” Obasanjo had said. 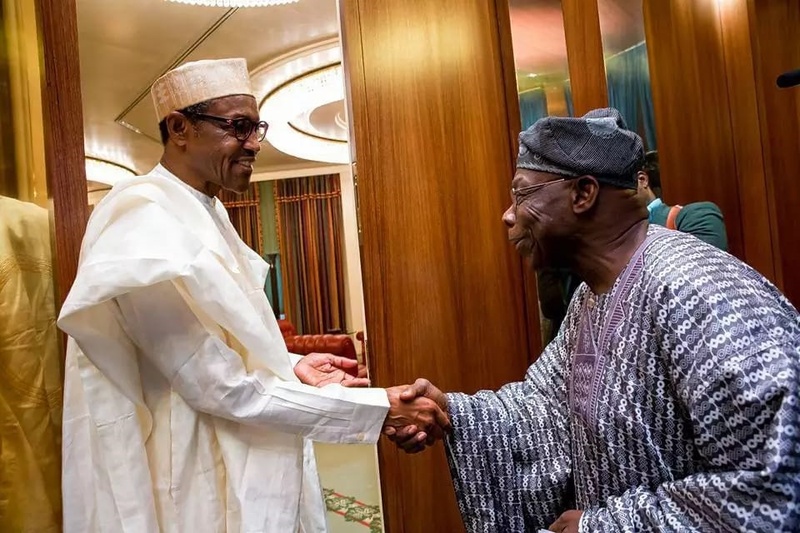 Buhari, however, fired back at Obasanjo, saying he would teach the ex-President and his co-travellers a political lesson they will never forget. He also advised him to see a doctor.